We hear a lot about tax rates. Often, what we pay in taxes is expressed as a percentage of income. However, it’s important to understand that the tax rate you pay doesn’t apply to your entire income. Instead, you will pay taxes based on a formula that looks at was is called the marginal tax rate. Your marginal tax rate is the tax you pay on your last dollar of income. However, and more importantly for tax planning, your marginal tax rate is also what you’ll likely pay on your next dollar earned. Since Canada operates on tax brackets, you will pay more tax when you earn more. However, it’s worth noting that you pay a rate based on the income in each bracket. So your marginal tax rate doesn’t reflect the total that you pay on your income. In fact, what you actually end up paying, in terms of a percentage of your income, is probably going to be lower than your marginal tax rate. 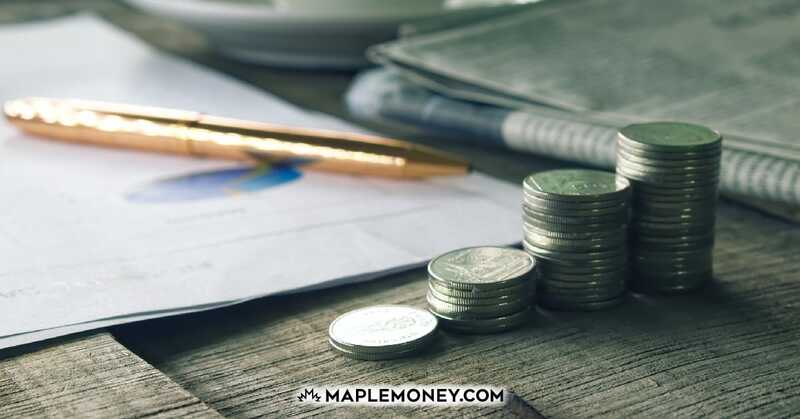 Even with the reality that your taxes will go up the more you earn, it’s possible to use the marginal tax rate to your advantage by planning ahead with RRSPs and other steps to reduce your taxes. Marginal tax rate should not be confused with your average tax rate, which is simply the amount of tax you pay divided by your income. How Does Marginal Tax Rate Work? To show how these tax rates work, I’m using the combined federal and Alberta rates for 2015. While your province may have different tax brackets and tax rates, Alberta has a flat provincial tax of 10%, and this will give you an idea of how marginal tax rates work. For the tax rates in your province, you can find all marginal tax rates at TaxTips.ca. Technically the first tax bracket is $0 to $44,701, but I’ve included the effect on marginal tax rate from the federal basic personal amount of $11,327 and the Alberta basic personal amount of $18,214. So if you lived in Alberta and made $44,000, your marginal tax rate would be 25%. But what if you were to get a $5,000 raise? Then you would be in the next tax bracket and paying 32% on that final $4,299. So, as you can see, you aren’t paying the entire 32% on all of your income. You pay the percentage reflected in each bracket, so the first $11,327 isn’t taxed at all. That immediately brings down your effective tax rate. Additionally, as you can see, you only pay the 32% on any income that takes you above the threshold. In this case, you are making $49,000 a year after your raise, but you aren’t paying 32% in taxes on that entire amount. Knowing this is how you can best work towards reducing your taxes. Sticking with the example above, it might make sense to put the $4,299 into an RRSP since you would get $1,376 back on your tax refund. However, putting any more into an RRSP that year may not be best since you would only get 25% back, not 32%. While getting a 25% tax deduction might sound better than nothing, you need to look at what you expect to earn in retirement. Tax planning requires that you step back and look to the future. Now, if you have more money to save, this is where your TFSA can come in. Make use of your RRSP within your highest tax bracket, but also look to use your TFSAs contribution room as well. While you would be making $49,000 a year in this example, and will likely make more in future years, you would likely need less money in retirement. With the house paid off, children moved out, and since you no longer need to put money money away for retirement, you may be able to withdraw less than $44,701 (or its equivalent whenever your retire). This is when an RRSP works best, when you can get a a larger tax deduction from contributing and then pay a lower income tax in retirement. It’s important to understand this, since the money you withdraw from your RRSP is considered “regular” income. Knowing and understanding Canadian tax rates, and how they work, is a key part of long-term financial and tax planning. Take the time to understand, and you will be able to get the most from your RRSP, now and in retirement. I am so glad you posted this. I am so tired of seeing people write articles about tax savings, and they treat the marginal rate as if it’s the effective rate. By doing this, they overstate the tax benefit of certain purchase (mortgage interest for example). Again you have some great advice here, but I really wish I could find a blog in the USA that was as comprehensive… oh well, it wouldn’t be so bad to just move to Canada! 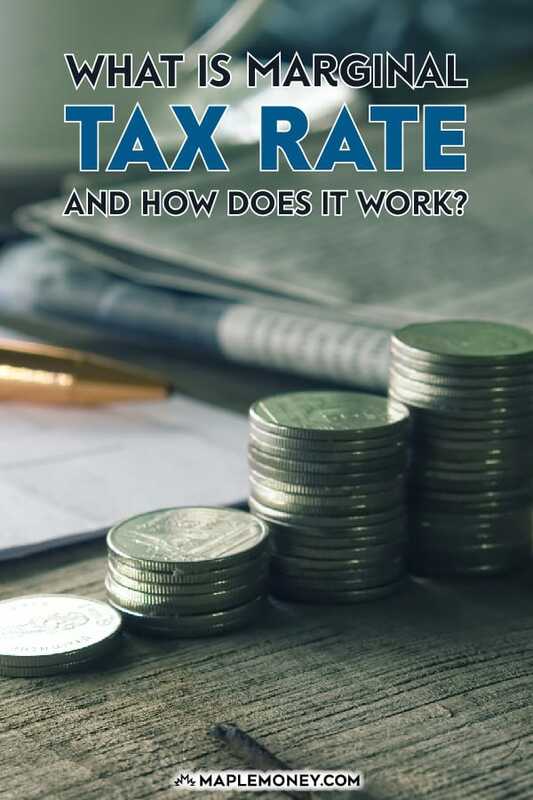 Marginal tax rate – Is it the tax on net income, after deductions, on the taxation form or is it tax on your total income before any deductions, on the tax form. If I’m mistaken on this, someone please correct me… I believe you can also contribute really as much as you want into the RRSP account, but only claim as much as you want too. So you could put in one amount, only claim as much as needed to get to the next income bracket, and then defer forward the extra and wait to apply it to the next year. 3. if there is a limit on how long you can defer money forward. I found a great link on CRA that might help you with your questions. At the bottom of this page there is a ‘related topics’ area which might help for the rest of your questions: unused contributions etc.